As a startup venture, it’s important to make every penny count. Often, new businesses start out with a limited budget; and investing in the wrong form of marketing can cost your company dearly. If you’re a startup, your priority is likely to be on breaking even and making a solid return on your investment. But what’s the most effective way to achieve it? Video Content – Is it Cost-Effective? It’s a common misconception that video content is unaffordable for smaller companies. Instead, startup businesses tend to focus on other forms of marketing – and remain unaware of the benefits that video marketing can offer their growing business. In reality, video offers one of the best ROI’s available, with 52% of marketers worldwide agreeing. 64% of customers are more likely to make a purchase after watching video content. An average customer is 88% more likely to browse longer on a site with an engaging video. Videos were 50 times more likely to be given an organic first page ranking than static text pages. In short, that’s a powerful SEO boost that proves invaluable for new start-ups aiming to raise brand awareness, enter a particular market and generate a high return. To add to this, video content is easily repurposed both throughout your customers purchase journey and on any channel within your marketing strategy. This only increases your ROI as one investment can be spread across multiple marketing channels to simultaneously aim to achieve different marketing objectives. Obviously this is ideal for new businesses whose initial resources are limited – after all, you have to spend money to make money! Before getting started, you should establish exactly what the ideal end-result will be. What do you want to achieve with this video content? For new ventures, it is likely your objectives will be focussed on establishing yourself within your market. Raising product and brand awareness and increasing lead generation tend to be the key objectives – all easily achieved through video content marketing! 2. What are your key messages? What do you want the viewer to take away from your video? As a startup, your target market will have little or no knowledge of your brand, what you do or you products, making people unlikely to purchase from you. 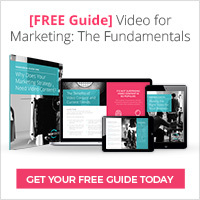 Basically, they are at the top of the purchase funnel and require some lead nurturing – and video content is perfect for that. 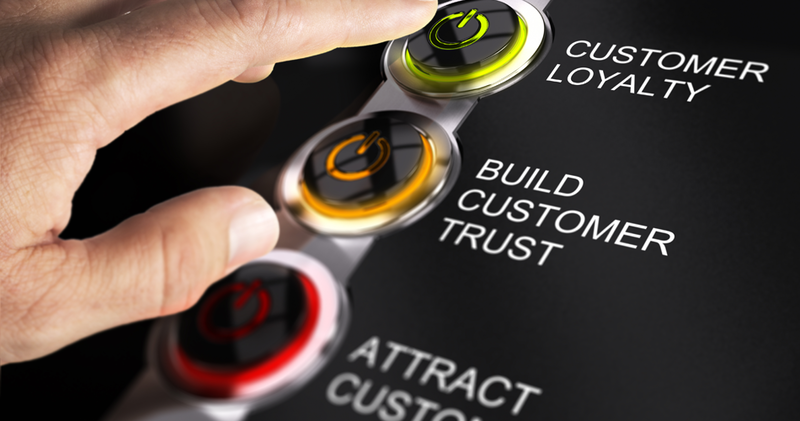 Your key messages are likely to focus on building brand credibility, your unique selling points and communicating your brand ethos to your audience to reassure customers you are trustworthy. For video content to be successful, it needs to have a clear purpose and message. Think about your customer’s journey. Do you want to use your video at the start – to generate initial interest in your brand? Or do you want to use it to provide the necessary information your customer needs to make a purchase? Also, consider where you’ll place the video. Will it be on your home page, for example? Or on a landing page or social media? 4. How can you repurpose it? Video content offers exceptionally good ROI when it’s repurposed. Consider creating flexible content that can be easily used in a variety of different formats – as a promo video, an explainer video, or a testimonial video. Also consider what other ways your video can be used for marketing. The Consumer Journey – Which Video… and When? There are many different types of video suitable for your startup business. Here’s a brief outline of some of the most useful forms of video content in terms of generating a good return. Corporate videos are especially effective if you’re operating in a B2B industry. They’re designed to present your brand in the most professional, relatable way possible – building trust and demonstrating your key products and services. They’re suitable for developing brand awareness and reinforcing your company message – perfect for start ups. If you want to create buzz about your brand or encourage people to make a purchase, a promo video is a powerful way to achieve it. This form of video is especially well-suited to social media and is often shared – bringing more visitors to your new site. If you’ve got a product or service that might confuse your target audience, an explainer video or a product demo video are the most effective ways to address the issue. Visual content clarifies even complex concepts – whilst selling in your company USPs. It’s a great way to encourage growth in sales in the early stages of your product’s life cycle, and works well on a product or landing page. A talking head video gives your target audience a ‘face’ to connect to – which makes your brand instantly more relatable. It builds trust, increases engagement and boosts conversions. Animation or motion graphics raise awareness and simplify even the most complicated of ideas – presenting information to your audience in an easy-to-understand, engaging way. Their flexibility means that they can be used to entertain, educate or entice to buy. To find out more about how video marketing can increase brand engagement and boost conversions, read our free guide, which can be downloaded here. It provides you with key information on how to identify the right video for your needs. If you’d like to ask any questions about the video production process, simply get in touch with WebVideos today. This is actually very effective, on the trend, and cost effective, whether your starting a business or in a business for a long time. Because videos are an effective way to catch customers attention and best way to persuade them in an entertaining way. People now a days, are more into videos, visual aids, you tube, and funny videos. It is not bad to make an effort on making on this one because it will certainly be worth it. After all, you can have lots of percent of possibilities that people will get into it. It might cost but how can you save if you do not spend? But yes, Video content marketing to be successful depends upon its objectives, message, purpose, and everything you had said above. Moreover, it’s not boring to make videos, it involves art and skills, as a result it is not boring to watch videos especially with a purpose. With passion, hard work, credibility, and patience everything will be worth it in the end. Thank you for your blog. It helps. Hi Katrina, thanks for the comment! You’re 100% right there! With so many videos being watched online these days, using online video in marketing campaigns helps get your messages accross in a way which naturally appeals to them- improving their ability to retain the information aboput your brand or products. As for the cost, well, they say: “you have to spend money to make money!”. For new businesses, investing in video content early will be very beneficial to their future marketing, as these can all be repurposed throughout the product life cycle and customers journey. Really glad you found this blog helpful! We upload one weekly! Thank you Brenda! You’re right, a quality video for your marketing improves brand awareness and helps to build brand preference and this is undoubtably an objective new start-ups should be pursuing. Do you use a lot of video content yourself? Thanks Celana! Feel free to share this with anyone who may find it useful!